Ms WWOL 2019-wanna be the first!? Mr WWOL 2019-wanna be the first? NOTE: Olympus Leather Reserves the right to deny at any time an application for any reason. When you are done filling out this form, press submit at the end of the application. When you do this, you should see a yellow banner with confirmation at the top of the page AND receive a confirmation email. If you have trouble with any of this contact the regional producer via email at: producer @ wildwestolympus dot com. Each Contestant agrees to hold blameless International Olympus Leather, Wild West Olympus Leather, and/or its Producers, staff, weekend volunteer personnel and/or Sponsors for injuries, economic loss, or any liability, and to pay all court costs in any litigation that may arise from any legal action taken by the Contestant against the aforementioned. Contestants and performers participating in the Fantasy must also sign a standard model release and a liability waiver prior to rehearsal. Each contestant is permitted to use an unlimited number of performers for their fantasy. These performers, are responsible for their own weekend packages and must each sign a Consent and Release for use of likeness (defined below). Contestants residing in an established region must compete in that Regional Olympus Leather Contest. Individuals residing outside the boundaries of any established region but within 50 miles of an established region’s boundaries must compete in that regional contest. For example: If Mid-Atlantic Olympus Leather is the Regional in Virginia, Maryland, New Jersey and Pennsylvania, a Contestant residing in New York City must compete in The Mid-Atlantic Olympus Leather Contest. However, if said person lived in Rochester, NY they could enter as an independent contestant since there is no region within 50 miles of their residence. If an interested person lives in an area more that 50 miles away from any established region’s boundaries, that person may enter the International Olympus Leather Contest as an Independent Contestant. The same Contestant Information Sheet, Titleholder Incentives, and Registration Requirements apply. When an established region lacks a titleholder to compete (for any reason) at International, any titleholder from within the boundaries of said established region (current or past) may run for International Olympus Leather with approval of that Region’s Producer(s) and the International Producer(s). The Title Year is defined as beginning when a Contestant is named the winner of the Olympus Leather Contest until the following year’s Contest when a new winner is announced. If there is not a winner for the title, the producer and current titleholder will discuss the options of a carryover. Each Contestant agrees to participate in all of the categories of the Olympus Leather Contest Finals, including Interview, Speech, Fantasy, Social Interaction and Comical Question as defined in the Guidebook. They also agree to participate in International Olympus Leather Weekend fundraising activities. Each Contestant agrees to participate in Raffle ticket promotion during Olympus Leather Contest. The proceeds of raffle related tickets will benefit The Olympus Leather Travel Fund. Contestants’ participation in fundraising will not be judged in any way, shape or form. The Judges will not be informed how much any contestant raises for any part of the auction or raffle. Each Contestant may bring items to add to the Silent Auction. The Auction will begin during the Friday night Meet and Greet and conclude during the Contest on Saturday evening. Items brought to Olympus Leather Contest by the Contestants and/or Sponsors, as well as those collected by Olympus Leather will be placed for live or online auction to raise money for the travel fund. Contestants are not obligated to bring auction items, but it will help them in the end if they win the title. The Travel Fund will be split so that Three (3) winners will split equally 90% of the funds raised. (If there is only two (2) winners the travel fund will be split 80/80/20 and if there is one (1) winner the travel fund will be split 60/40). The International producers will distribute the funds to the winners. Revenue from ticket, pins, and other merchandise sales go to producing the Contest, unless an item is specifically placed in an auction or raffle. Each contestant will need to schedule time to volunteer with the Auction Coordinator or producer. Having designated volunteer times will help Contestants to focus on the Contest and to enjoy the weekend. This will also prevent the registration and vendor areas from being flooded with contestants competing for sales at the same time. Effective as of the date shown below approval for past use and permission for present and future use is being granted to Olympus Leather, San Diego, CA 92105, To use a photo or other image of ____________________________________________________ (the undersigned and/or photographed party), as more fully explained in this consent and release. The undersigned is an adult and fully authorized to sign this consent and release. For no valuable consideration which is hereby acknowledged, the undersigned hereby grants to Olympus Leather its agents, regional sponosors, employees, licensees, and successors in interest (collectively, the released party) all ownership rights, absolute and irrevocable right, and permission to copyright, use and publish the photographed or digital likeness of the contestant (the likeness) that has been or is being obtained pursuant to this consent and release. The likeness may be copyrighted, used and or published individually or in conjunction with other photography or digital works, and in any medium (including without limitation, print publications, public broadcast, any other digital, print or video format) and for any lawful purpose, including without limitation, Trade, exhibition, illustration, promotion, publicity, advertising and electronic publication. The undersigned represents and warrants that (I) no other party has been granted an exclusive license with respect to the likeness, and(II) no other party's authorization or consent is required with respect to the permission granted to the released party under this consent and release. The undersigned waives any right that the undersigned may have to inspect or prove the released parties use of the likeness, or the advertising copy or printed matter that may be used in connection with the use and or publication of the likeness. The undersigned releases the released party (and all parties acting under its permission or authority) from all claims for libel, slander, invasion of privacy, infringement of copyright release of publicity, and any other claims related to the likeness (Collectively, claims). This release includes without limitation any claims related to blurring, distortion, alterations, optical illusion, digital alteration, using composite form, whether intentional or otherwise, or use a fictitious name, that may occur or be produced in the processing or publication of the likeness. The undersigned warrants that the undersigned has read this consent and release prior to the signing of this document, that the undersigned understands it, and that the undersigned freely enters into this consent and release. 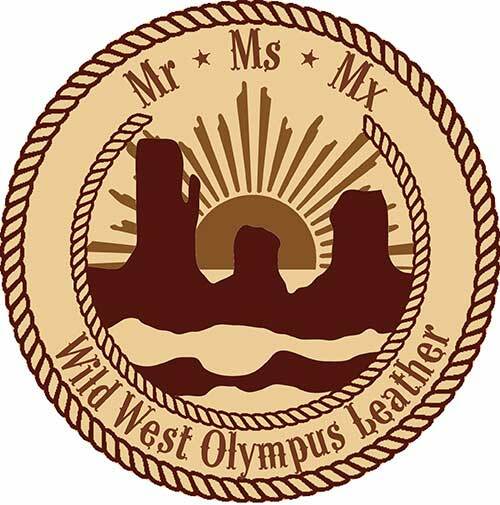 There is no entry fee to participate as a contestant in Wild West Olympus Leather. Your registration fee for Rebooted-Revamped (the event hosting WWOL) will be waived.